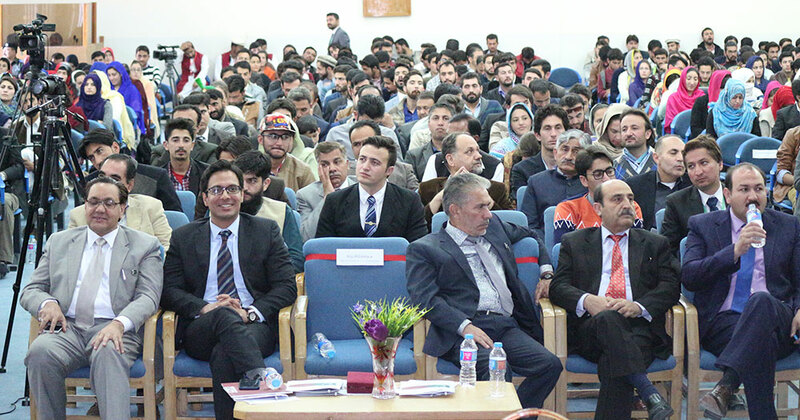 The conference titled ‘China-Pakistan Economic Corridor – Prospects and Opportunities for Gilgit-Baltistan, was held at the Karakoram International University’s (KIU) main campus in Gilgit. It was organised by the Centre for Research on CPEC at the KIU, the Centre of Excellence on CPEC Islamabad, Pakistan Customs and Higher Education Commission. 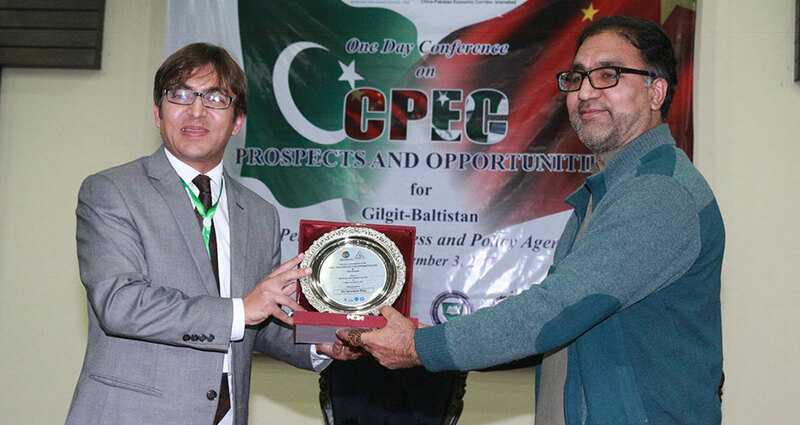 Speakers at a conference on Friday called for creating awareness among the people of Gilgit-Baltistan about the opportunities promised by the multibillion-dollar China-Pakistan Economic Corridor (CPEC) project for them. They, however, expressed fear that smoke from the traffic of CPEC passing through GB would destroy the natural environment of the region, and demanded redressal of the environmental degradation issues before operationalization of the project. peaking on the occasion, Hasan Dawood, Project Director CPEC Cell, said nine economic zones were being established under CPEC in the country, adding Maqpoondas had been identified for establishing a CPEC economic zone in GB. “At Maqpoondas fruit processing, minerals cutting and polishing centers, iron and steel industries would be established, he said. Mr. Dawood said KKH expansion, the building of Gilgit-Chitral road, establishment of the Phandar hydropower project in Ghizer, KIU hydropower project in Gilgit, Diamer-Bhasha Dam and China-Pakistan optical fiber project were being executed under the CPEC. 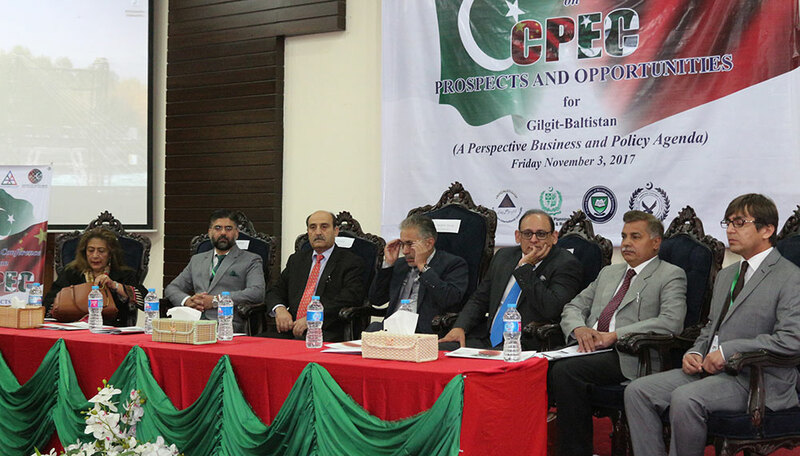 Executive Director CPEC Dr. Shahid Rasheed said the purpose of the conference was to create awareness about the project among the participants and discuss the prospects, opportunities, and way forward for GB. He said the One Belt One Road project had been divided into six corridors and the CPEC was one of the pilot corridors. GB minister for education Ibrahim Sanai said CPEC also connected civilizations and created harmony in the world. He said India was hatching conspiracies to foil the project. Sadia Niazi, an expert, said CPEC constructions posed threat for ecological degradation in the region and called for steps to avoid the phenomenon. GB customs collector Ali Raza said time limit for clearing containers at Sust dry port should be decreased. He also demanded to keep the Khunjerab border open throughout the year. Rani Atiqa Ghazanfar, the member of Gilgit-Baltistan Legislative Assembly, said confusion and ambiguity prevailed among GB people, based on a narrative created by pessimists who were unable to see direct and indirect benefits of CPEC. “We hope GB people would get a fair share in the mega-project,” she said, adding she believed tourism industry alone had the potential to revive the local economy. Mrs. Ghazanfar said in the prevailing situation they were expecting the influx of foreign tourists, including the Chinese in the years to come due to the CPEC and asked the locals to brace for the challenge.